It’s been such a long week, I have been working on recipes for the subscription service and I’m happy to say- I have the equivalent of 11 weeks done. I feel like this is harder than writing my cookbook, which so far has been amazingly fun. Or maybe I am just doing too much. I am the kind of person who takes on too much at once and most of the time, it’s okay with me because I get a lot more accomplished, but sometimes, I just need to rest. I know for sure I am taking off a day for Valentine’s Day, just so that I can really rest and enjoy some time with my boys. I’ll feed G my love potion. It’s slightly tart, a little sweet, and packs a punch- plus it’s a brilliant red color that reminds you of hearts. 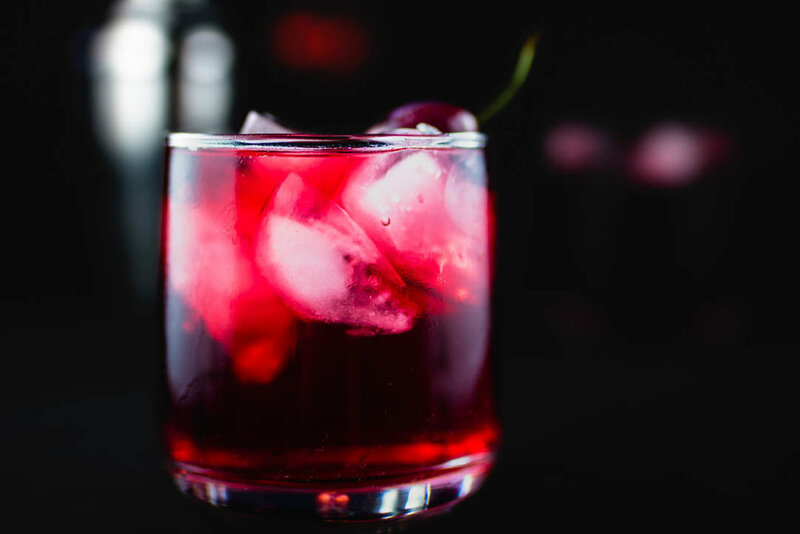 This drink is perfect for Valentine’s Day, something special to make and to give to the person that you’re spending the day with. 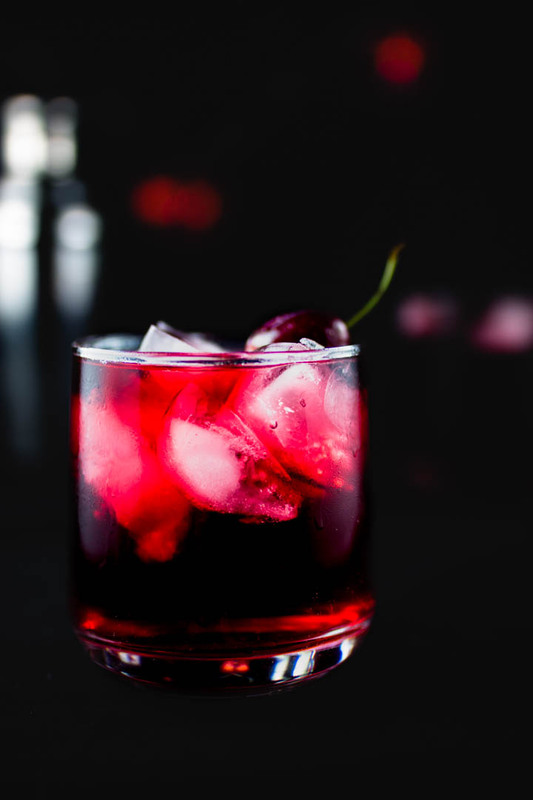 Unfortunately, we have to celebrate the day after, especially with these strong cocktails, because I have to work on Valentine’s Day proper. Oh before I give you this love potion, I want to tell you something that I learned! You don’t shake every drink! When it’s a booze forward drink, you stir it so that it creates the right mouth feel. When it’s a flavor forward drink, you shake so that all of the flavors actually combine and you don’t feel like you’re missing something. Here’s an article with more information! Do you have a Valentine’s Day drink?